Social Security isn't meant to replace your entire paycheck. It's basically expected to be a safety net that provides a backstop for your income in retirement. 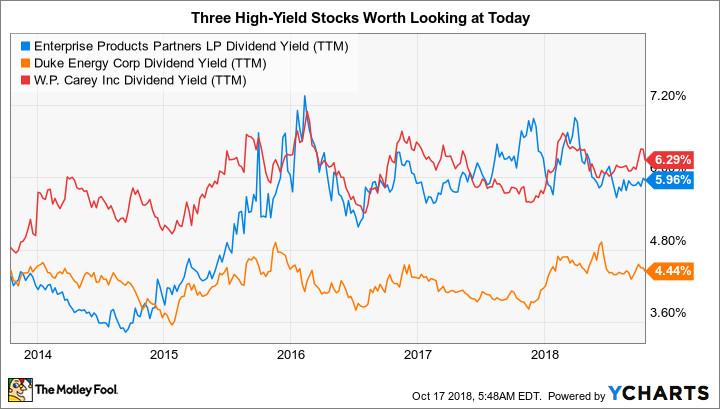 That means you should be looking to supplement your Social Security income with other sources of cash, like dividend-paying stocks, but you'll want those dividends to be material and backed by solid companies. Enterprise Products Partners L.P. (NYSE:EPD), Duke Energy Corporation (NYSE:DUK), and W.P. Carey Inc. (NYSE:WPC) are three great options to consider.